High blood pressure is a complex condition that has many causes and contributing factors. These factors are associated with your physiology, diet, lifestyle, stress level, environment, genetics, and other factors. Here is a list of the many causes and co-factors associated with high blood pressure. Use this information to help figure out what is causing your high blood pressure so that you can implement the necessary corrective actions. Excess processed foods, trans fats, HFCS, etc. In most cases, most people will have multiple causes and co-factors that contribute to their high blood pressure. 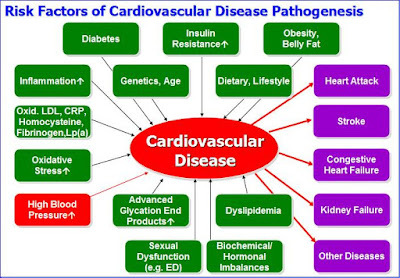 Note: For more information about high blood pressure, refer to the Death to Diabetes book, Heart Disease ebook, training program, online training course; and, the Death to Diabetes website, blog and Facebook Page. 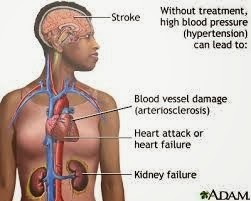 High blood pressure is the Number 1 silent killer disease. This silent killer is characterized by subtle symptoms that often go undetected. 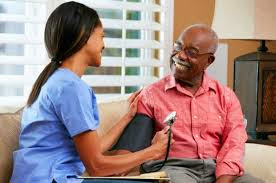 High blood pressure (or hypertension) is a silent killer because it is deadly and has no early significant symptoms. The American Heart Association estimates that up to one third of people living with high blood pressure are unaware of the fact that their blood pressure is high, and many people are unaware of the risks of high blood pressure. 69% of people who have a first heart attack, 77% of people who have a first stroke, and 74% of people with chronic heart failure have high blood pressure. High blood pressure is also a major risk factor for kidney disease. More than 348,000 American deaths in 2009 included high blood pressure as a primary or contributing cause. High blood pressure costs the nation $47.5 billion annually in direct medical expenses and $3.5 billion each year in lost productivity. About half (47%) of people with high blood pressure have their condition under control. Almost 30% of American adults have pre-hypertension—blood pressure numbers that are higher than normal, but not yet in the high blood pressure range. Pre-hypertension raises your risk of developing high blood pressure. Reducing average population sodium intake from 3,300 mg to 2,300 mg per day may reduce cases of high blood pressure by 11 million and save 18 billion health care dollars annually. About 1 in 5 (20.4%) U.S. adults with high blood pressure don't know that they have it. 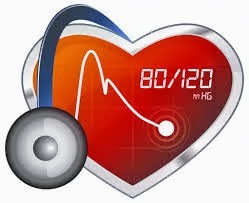 About 7 in 10 U.S. adults (69.9%) with high blood pressure use medications to treat the condition. 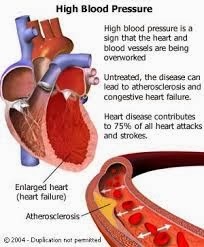 The danger from high blood pressure is the extra load on the heart, leading to complications such as hypertensive heart disease, a heart attack, a stroke and congestive heart failure. High blood pressure can also seriously damage the kidneys. And it does all this silently, without any major symptoms, except when the high blood pressure gets extreme. Always get your blood pressure checked to rule out hypertension as part of regular medical checkups. High blood pressure affects millions of people around the world. This condition goes unnoticed for years unless we have the insurance to receive annual physicals and blood tests from our primary care physician. For the people who are able to afford insurance and get annual physical exams, they end up "controlling" their blood pressure by taking drugs that mask the real problem and give us the false sense of security that everything is fine. But, over a period of years, we find ourselves having to take more and more medication to 'control" our blood pressure. Until one day, you discover that you have problems with your kidneys, liver, or heart due to taking these medications for so many years. So, what if you have high blood pressure, but you don't know it? We recommend that you visit your primary care physician at least once a year for a complete medical exam. A complete medical exam will uncover a problem such as high blood pressure. At that point, your doctor may recommend one or more medications to help lower your blood pressure. However, we don't believe that you should rely solely on medications because they don't help to get rid of the disease in your body that is causing your high blood pressure. As a result, you would be required to take high blood pressure meds for the rest of your life. Please Note: Recent studies show that long-term use of these medications can lead to more health problems, so, be careful. Once your physician has diagnosed you with high blood pressure, ask him/her to identify what type of high blood pressure you have. For example, if the systolic number is high and the diastolic number is normal, this is an indication of atherosclerotic hypertension -- a pre-cursor to atherosclerosis and heart disease. In that case, you may need to modify your nutritional program to help heal and repair your arteries. Other types of high blood pressure include: Secondary Hypertension, Isolated Systolic Hypertension Diastolic Hypertension, Malignant Hypertension, Renal Hypertension, Pulmonary Hypertension, Resistant Hypertension. If your physician can't identify what type of high blood pressure you have, then, whatever medications he/she recommends will be just a wild guess. And, once you start on medications, it will be difficult to get off the medications. In fact, the number of medications and their dosages will increase over time as your body becomes more dependent on the drug's effects. When you see your physician for your annual exam, get your blood tested for other factors so that you have a broader picture of your overall health state. Some of the additional tests include: fasting blood glucose, hemoglobin A1C, inflammation markers, lipid panel, kidney tests, hormone levels, vitamin levels, mineral levels and other blood tests listed in the Death to Diabetes book and on the Death to Diabetes website. It is very important that you make sure that you do not have any (marginal) nutritional deficiencies, i.e. macronutrient, vitamin, or mineral. Some of the key nutritional deficiencies that may affect your blood pressure include: magnesium, potassium, calcium, Vitamin D, Vitamin A and fats. Next, change your dietary program to a plant-based diet such as the Death to Diabetes Diet. Start eating a lot more vegetables, drinking raw juices and avoid eating the major "dead" processed foods, and a regular exercise regimen of brisk walking, stretching, and resistance training 4 to 6 times a week. And, based on your blood tests, add the necessary nutritional supplementation -- but, make that you use wholefood-based supplements and avoid synthetic supplements. Get a home blood pressure monitor so that you can check your blood pressure on a regular basis. Make sure that you're getting 8 hours of quality sleep every night. Address the stress in your life and learn how to control your emotions -- getting upset over events that you have no control over will raise your blood pressure. Use meditation techniques to change the way you think about the world around you. Educate yourself about diabetes, blood pressure, nutrition, etc. Without education, we live with a lot of anxiety and uncertainty. This, in turn, leads to fear, which creates anger and more anxiety and raises your blood pressure. Please Note: Because of their impact on our health, nutritional deficiencies will be discussed in more detail in a future blog post. Warning! More than 87% of people who end up in the hospital because of high blood pressure, do not change their eating habits or lifestyle. As a result, 91% of them return to the hospital or end up in the graveyard. FYI: Ironically, this top silent killer disease is fueled by what the author calls the "triple-killer foods" along with the 5 "dead" foods. So, make sure that you avoid these foods, especially if this silent killer is stalking you. If a physical examination indicates hypertension, additional tests may help determine whether it is secondary hypertension caused by another medical disorder) and whether organ damage is present. Blood Tests and Urinalysis. These tests are performed to check for a number of factors, including potassium levels, cholesterol, blood sugar (to screen for diabetes), infection, kidney function, and other possible problems. 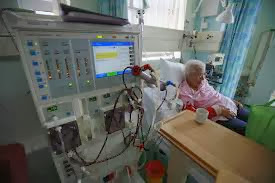 Measuring blood levels of the protein creatinine, for example, is important for all hypertensive patients in order to determine kidney damage. An electrocardiogram (ECG) is performed on most patients in the doctor's office. An exercise stress test may be needed for patients who also have symptoms of coronary artery disease. An echocardiogram is needed when it would help the doctor decide whether to start treatment. 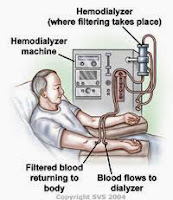 Most of the time this test is not necessary for patients who have only hypertension and no other symptoms. A Doppler or duplex test may be performed to see whether one of the arteries supplying blood to the kidney is narrowed, a condition called renal artery stenosis. An ultrasound may also be performed to examine the kidneys. Heidenreich PA, Trogdon JG, Khavjou OA, Butler J, Dracup K, Ezekowitz MD, et al. Forecasting the future of cardiovascular disease in the United States: a policy statement from the American Heart Association. Circulation. 2011;123(8):933-44. Epub 2011 Jan 24. Hing E, Hall MJ, Ashman JJ, Xu J. National Hospital Ambulatory Medical Care Survey: 2007 Outpatient Department Summary. National health statistics reports. 2012; no 28. Guide to Community Preventive Services. Cardiovascular disease prevention and control: team-based care to improve blood pressure control. 2012. Accessed July 27, 2012. Note: One of the key risk factors for developing cardiovascular disease is high blood pressure. Our primary focus is to educate and provide health-related information about diabetes management and prevention. However, during the past several months, we have received more than the usual number of phone calls and emails about being people losing their toe or leg due to diabetic complications. During these phone calls, most of the callers tell us that they wished they had heard about our diabetes management and prevention program sooner. They all admitted that they didn't think they would ever face an amputation. For those who were told that they would have to lose a toe, foot or leg, they called us looking for a miracle. But, we had to tell them that there is no miracle -- in fact, there is very little that we can do to prevent person from losing their toe, foot or leg once the doctor has identified the need for amputation. Patients with diabetes, heart disease, or infection have a higher risk of complications from amputation than persons without these conditions. In addition, persons receiving above-knee amputations are more likely to be in poor health; therefore, these surgeries can be riskier than below-knee amputations. As with any surgical procedure, complications can occur. Some possible complications that can occur specifically from an amputation procedure include a joint deformity, a hematoma (a bruised area with blood that collects underneath the skin), infection, wound opening, or necrosis (death of the skin flaps). A stroke, heart attack, or a pulmonary embolism (due to deep vein thrombosis (DVT)) are additional health problems that pose a risk after an amputation primarily due to blood clots, heart muscle strain, or prolonged immobilization after surgery. If you have this operation under general anesthetic, there is a risk of complications related to your heart and lungs. The tests that you have before the operation will ensure that you have the operation in the safest possible way to reduce the chances of such complications. The chances for heart or lung complications are higher for elderly people with other health problems such as diabetes, or disease of the arteries that feed the heart with blood. Usually, it is important to have the operation as soon as possible. If you delay things then the condition of your toe will get worse and it might get infected and become necrotic. This can make you very ill and significantly increase the chances of complications because of the anesthetic or the operation. If you have an anesthetic injection in the back, there is a very small chance of a blood clot forming on top of your spine. This can cause a feeling of numbness or pins and needles in your legs. The clot usually dissolves on its own and this solves the problem. Extremely rarely the injections can cause permanent damage to your spine. Chest infections may arise, particularly in smokers or obese patients. Do not smoke. Being as mobile as possible and cooperating with the physiotherapists to clear the air passages is important in preventing a chest infection. Another possible complication is the formation of clots in the deep veins (draining pipes for the blood) of your legs (deep vein thrombosis). Although this complication happens more frequently when the leg is amputated either above or below the knee, it can also happen after a toe amputation, especially if you stay in the hospital longer than expected and you are not particularly mobile. A piece of one of these clots can get detached and travel to your lungs. There it can cause partial or complete obstruction of the blood vessels in the lungs, which can be lethal. Consequently, you will be given injections of blood thinners (heparin) after the operation to prevent a DVT. Slow healing is a possibility and this will be apparent within the first week or two. The doctors will discuss this with you. Studies show that the chances of complete healing after a toe amputation are 40 to 60 per cent. If complete healing doesn’t happen, you might need another operation to clean any dying (necrotic) tissue or tissue that is not healing. You might also need to have the leg amputated higher up. Infection sometimes happens. This is usually localized in the wound area and very rarely spreads into your blood stream. You will be given antibiotics to prevent this and you will be given more if an infection actually occurs. The antibiotics take care of the problem in most cases, but there is a chance that you will need another operation to clean the infected tissues. 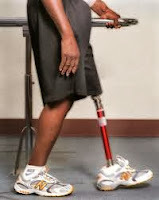 At the beginning, some patients feel that the leg or toe is still there (phantom leg/toe). It is also not uncommon for patients to also feel pain in the amputated area (phantom pain). This is usually mild to moderate and rarely severe pain and will usually get better over time. In some cases the pain can last for a long time. If this happens your doctors will discuss the problem with you. Aches and twinges in the wound may be felt for six months or more but will usually settle down. Occasionally there are numb patches in the skin around the wound that get better after two to three months. Trouble with your circulation or diabetes causing the toe to be diseased needs to be watched very carefully. Note: Because of a weakened immune system, you may be susceptible to other risks depending on your age, lifestyle, and specific medical condition. Be sure to discuss any concerns with your doctor prior to the procedure. Any Alternatives to an Amputation? If you leave things as they are, your toe (or foot) will certainly get worse. Infection may spread to your other toes and foot. An operation to bypass or core out your leg arteries to improve the blood supply to the toe will not work in your case. Laser treatment and X-ray guided stretching of the arteries will not work for you. Injecting the nerve to your blood vessels will not work. Antibiotics are not enough by themselves. An alternative to a toe amputation is an amputation higher up. This may help the healing process at the cost of loss of part of your limb. Unfortunately, most amputations through the foot do not heal very much better than toe amputations, but an amputation just below your knee would heal very well. Overall, usually your best plan is a toe amputation unless your doctor says otherwise. Problems with the lower extremities respond best when treated by a multidisciplinary team of medical specialists. These specialists may include: endocrinologists, neurologists, diabetes educators, diabetes health coaches. vascular surgeons, orthopedic surgeons, podiatrists, nurses, pharmacists, infectious disease specialists, wound care specialists, nutritionists, and specialists in prosthetic and orthotic services, physical medicine and rehabilitation. Comprehensive foot care programs can reduce amputation rates by 45% to 85%. The direct cost of an amputation associated with the diabetic foot is estimated to be between $30,000 and $60,000. Three years of subsequent care for individuals whose ulcer has healed without the need for amputation has been estimated to cost between $16,000 and $27,000. The corresponding cost for someone who eventually needs an amputation ranges from $43,000 to $63,000, mainly due to the increased need for home care and social services. The mortality rate after amputations is about 40% at one year and 80% at five years. Five-year mortality rates after new-onset diabetic ulceration are between 43% and 55% and up to 74% for patients with lower-extremity amputation. These rates are higher than those for several types of cancer including prostate, breast, colon, and Hodgkin’s disease. It is critical that you see a podiatrist, podiatric surgeon, or foot surgeon specializing in diabetic limb salvage if you start to get any open sore or wounds on your feet. Do not wait until it is infected! With these simple interventions you can keep prevent more amputations. It is also critical that the patient make some serious changes to his diet and lifestyle to better manage one's blood glucose level and strengthen the immune system. Otherwise, further amputations and other diabetic complications will occur such as infections, blindness, kidney dialysis, heart attack and/or stroke. Prevention and early detection of future disease should be discussed with the patient. Education on pressure-area pathogenesis is useful for engaging patients. Efforts should be made to encourage regular visits with a podiatrist, who can assist with provision of well-fitted enclosed shoes. Thick cotton socks act as a barrier to both pressure areas and foreign bodies. Daily self-inspection of feet should be promoted. Informed content must be obtained. Too often, toenails are overlooked. The nails can become thick and deformed due to mold, yeast and fungal infections Shoe pressure against these deformed toenails can cause a subungual abscess. Additionally, a long, thick or deformed nail can lacerate an adjacent digit, which can trigger the process of infection that can lead to amputation. Topical antifungal medications are not FDA approved and are ineffective against this type of nail infection. Oral terbinafine or itraconazole are effective against this type of infection, but patient selection is critical for the safe and effective use of these medications. Confirmation of mycotic nail infection before prescribing medication is essential to minimize costs and potential drug-related complications. Testing for nail mold, yeast or fungal infections should be done before prescribing an oral antifungal medication. Foot care specialists should consider nail debridement and ongoing foot care to decrease the risk of a triggering event, such as a digital laceration during self nail care, that could lead to amputation. Loss of a limb can have a considerable psychological impact. Many people who have had an amputation report feeling emotions such as grief and bereavement, similar to experiencing the death of a loved one. It is common to experience negative thoughts and emotions after an amputation. This is especially true in people who had an emergency amputation, as they did not have time to mentally prepare themselves for the effects of surgery. Talk to your care team about your thoughts and feelings, especially if you are feeling depressed or suicidal. You may require additional treatment, such as antidepressants or counseling, to improve your ability to cope with living with an amputation. People who have had an amputation have an increased risk of more amputations. Within one year after a diabetic foot amputation, 26.7% will have another amputation. Three years after the first diabetic amputation, 48.3% will have another amputation. Within 5 years of a diabetes related amputation, 60.7% will have another amputation. If that isn't bad enough, diabetics with amputations don’t live very long. Approximately 50% of all diabetics with an amputation are dead 3 years after the amputation. About 65% of all of those with a diabetic amputation are dead within 5 years. But, in spite of this, there is hope... most are preventable. Start eating healthier (i.e. vegetables, juicing) to better control your blood glucose level and to help heal your body. Check your feet every day and see a podiatrist, podiatric surgeon, or foot surgeon specializing in diabetic limb salvage if you start to get any open sore or wounds on your feet. Do not wait until it is infected! With these simple interventions you can keep prevent more amputations. Note: We hope this information is of some help and encourages you to take action before it's too late. If you have any queries or problems after surgery, please talk with your podiatrist, other doctors, and the other members of your healthcare team. Note: If you haven't had an amputation, refer to our blog post about preventing diabetic amputations. Normally a person with an injury on the bottom of their foot, such as a blister, will change the way they walk. Your gait will alter because you are going to protect that blistered spot until it heals up. But, people with a loss of sensation don't do that -- they will just walk right on top of that blister as though it wasn't there. It can burst, become infected, and turn into a foot ulcer. That ulceration can go right down to the bone and become an avenue for infection into the whole foot. And, that can lead to amputations. Unfortunately, some people with diabetes don't believe that they will face amputation . This belief by some people with diabetes is primarily due to fear, denial and ignorance about the science of diabetes and how diabetes actually rots out the inside of the body. Taking care of your feet is very important. The nerves of the feet are the longest in the body and are often affected by neuropathy. The single most important thing that a person with diabetes can do to prevent a problem is to look at their feet every day, just as they comb their hair or brush their teeth. Look at your feet every morning and every evening to check for cuts, sores, blisters, redness, calluses, or other problems. 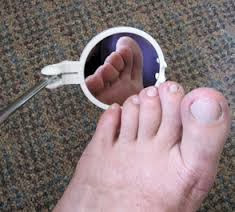 You can use a mirror to examine your feet or have a family member check your feet for you. Here are some tips on preventing foot problems from the National Diabetes Education Program. Note: An increase in the temperature of your foot, which can be detected with a special infrared thermometer, can be an early sign of trouble. The foot will get hot before the skin breaks down. If your skin is dry, especially the heel of your foot, use a salt scrub to carefully remove the dead skin. (Thanks, Cynthia!). Always wear socks or stockings to avoid blisters. Wear thick, soft socks. Do not wear socks or knee-high stockings that are too tight below your knee. Wear shoes that fit well. Shop for shoes at the end of the day when your feet are bigger. If you have neuropathy, talk to your doctor about orthotics to improve circulation and relieve pressure. Check the temperature of bath water with your hand or arm before getting in the tub. Make sure your doctor checks your feet at each checkup and performs the filament test by lightly rubbing a feathery filament across the bottom of your feet - to check for a loss of touch sensation. If you do not feel the filament, it is imperative that you use your eyes to check your feet every morning and night. Note: If your feet do not sweat at all, this may indicate a loss of sweating and eventually a loss of touch sensation. Unfortunately, this may eventually lead to foot ulcers. Notify your podiatrist and endocrinologist. Use one or more of the following therapies to help improve nerve health and the blood circulation in the feet: massage therapy, water therapy, acupuncture, magnetic insoles. Other natural treatment options for neuropathy may include: relaxation training, hypnosis, biofeedback training, acupuncture, transcutaneous electronic nerve stimulation (TENS) therapy. In addition, follow a nutrient-dense nutritional program such as the Death to Diabetes Super Meal Diet that will help to control blood glucose levels and prevent the onset of diabetic neuropathy. Key foods, herbs and wholefood-based supplements include green vegetables, bright-colored vegetables, raw juices, beans, wild salmon, Omega-3 EFAs, evening primrose oil, CoQ10, cayenne pepper, garlic onions, ginger, and nattokinase. Note: For more information about preventing diabetic amputations, refer to the Death to Diabetes website.